Social discovery and sharing platform Shareaholic today released a report comparing search traffic versus social traffic over the last 13 months. While it’s no surprise that search is a mature tool and social is still a relatively new one, the biggest trend that immediately jumps out is that the former has started declining while the latter is still exploding. In November 2012, search traffic accounted for almost 42 percent of traffic while social referrals were at just over 11 percent. 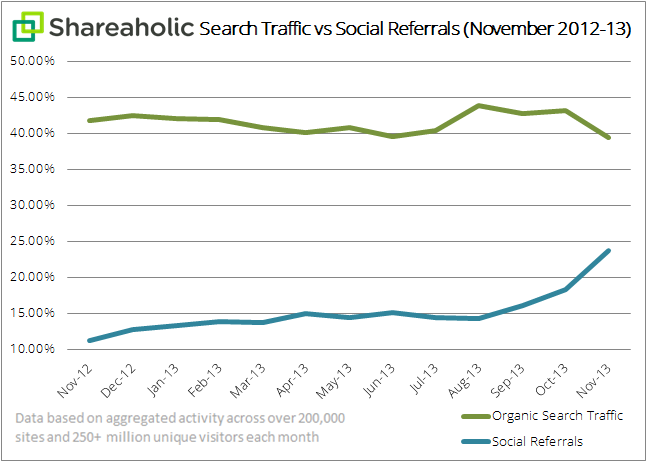 In November 2013, search traffic had slipped a few percentage points while social referrals had more than doubled. Search’s heyday is over; it’s a mature channel. Organic search’s share of visits to publishers actually dropped 6 percent. Search engines are more likely to see drastic growth in their personal market shares than they are to see substantial growth in the overall market. That’s because everyone already references search engines when they need information. Social Media has barely outgrown diapers; things are just getting started. Referrals from the top five social media platforms more than doubled (growing 111 percent year-over-year)! People are more active on social media than ever. Yet social media is nowhere near full maturity. Indeed, this is just the beginning. While search is pretty much flat (that 6 percent drop can easily be regained in a few months’ time), the interesting part is that social is catching up. This isn’t just because Internet users typically stick to one search engine but use multiple social networks. No, the main reason is that many questions that users ask of search engines, their networks of friends, colleagues, peers, fans, and people they follow can answer better. 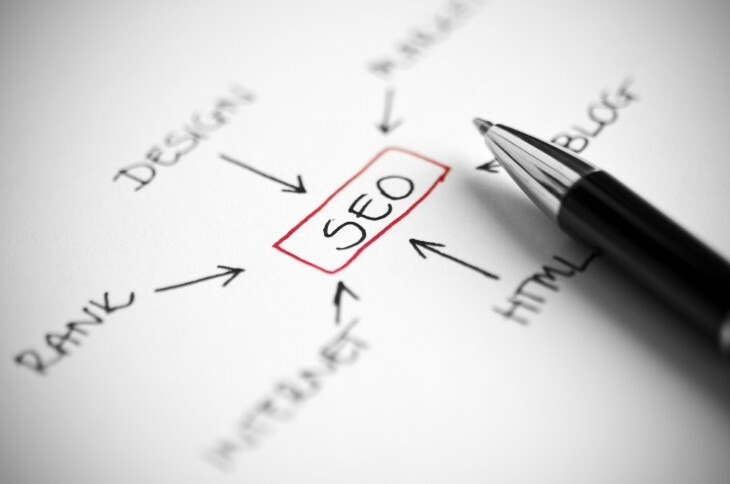 If you’re in charge of figuring out where to spend you’re marketing dollars, your online budget should no longer just consist of SEO.